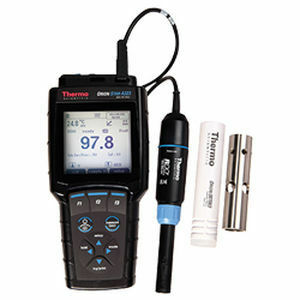 Get high accuracy and premium performance everywhere you need it with the Thermo Scientific™ Orion™ Star A323 Dissolved Oxygen and RDO Portable Meter, designed for a wide range of dissolved oxygen and temperature testing and field applications. 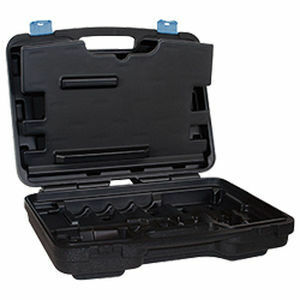 Evaluate samples in the most demanding locations using this waterproof meter with IP67-rated housing. Use an RDO optical or polarographic DO probe and calibrate using water-saturated air, air-saturated water, custom value (Winkler) or zero point. Log up to 5000 data point sets with time / date stamp and easily transfer logs to a printer or computer. 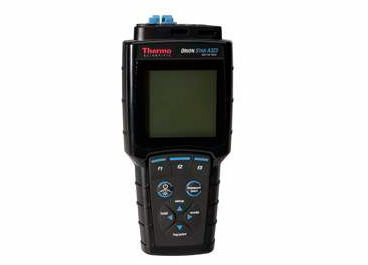 Take your measurements at the source with our premium line of portable meters. 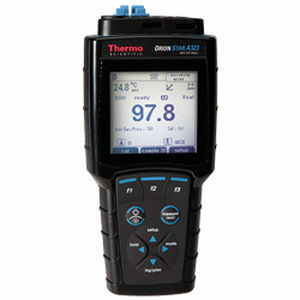 The Thermo Scientific Orion Star A323 RDO/DO portable meter offers an information-rich screen and user-friendly operation. This rugged, waterproof portable meter is ready to tackle the elements with you. 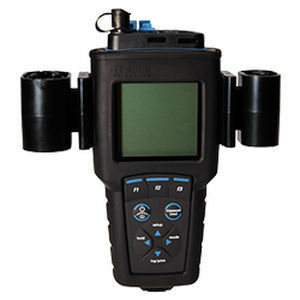 Orion Star A323 RDO/DO portable meters are designed to be easy to use, dependable field meters that offer advanced features and functions including a 5000 point date log with sample ID and user ID options, calibration and high/low limit alarms and password-protected measurement methods.